No, I'm not talking about the new ERS-1000 which is really exciting as Sony re-enter the consumer robotics market. What I am talking about; is what I suppose we should now call the "classic" AIBO. 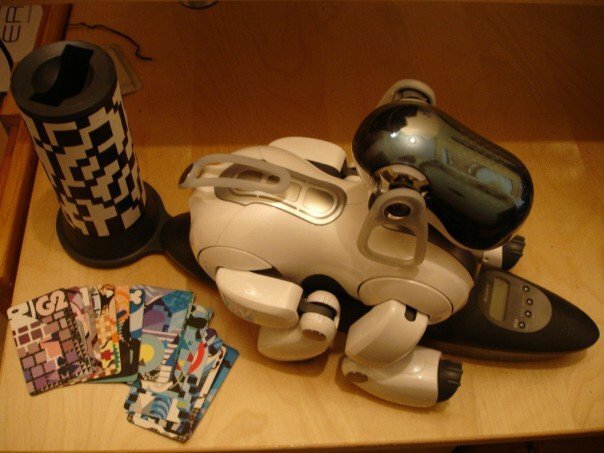 Years ago I had an ERS-7 M3 named "Pixel" which was the most advanced and most canine-like version of the Sony AIBO before Sony closed all AIBO and other robotic projects back in 2006. I sold "Pixel" a few years ago after we closed our original office in Sheffield and I really wish I hadn't. The studio is now full of big and little robots, some of which are massively more advanced than the old AIBO was but I miss having a little "pet" around. The ERS-220 is the most robot-like AIBO and was always the one that I really wanted, just because of how it looks - it's just so cool. From the Sci-Fi looking body, to the array of LEDs around the "visor" and the camera on the front of the face, to the pop-up LED torch and the little antenna on the top of the head - the ERS-220 is a proper robot-looking robot. 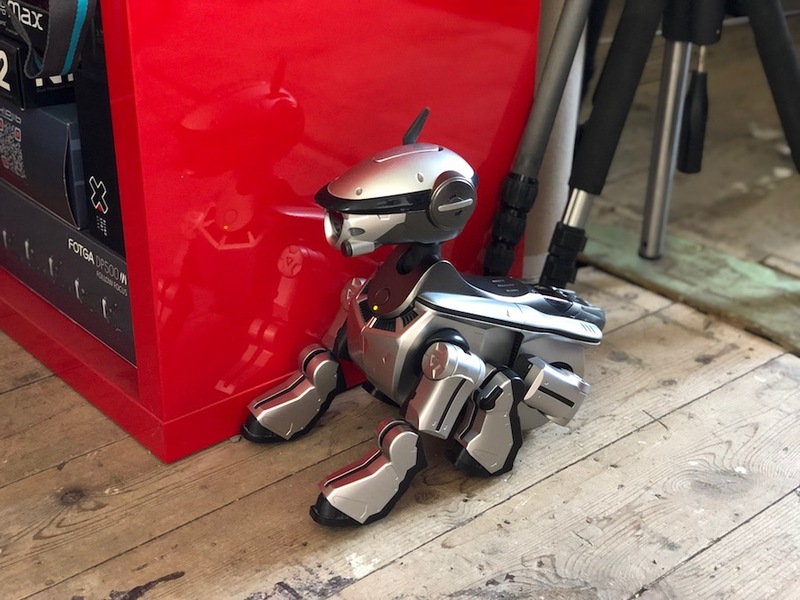 It's not as advanced as the ERS-7 and is unfortunately without the optional wireless card (for now) but it's great to have a little AIBO wandering about and exploring the studio again. As the ERS-220 looks like a dog a Cylon might have, I decided that "Boomer" was a fitting name. I need to find our old Sony Clie and get a few Memory Sticks to play with some software now. Well; the ERS-1000 is definitely exciting! The first AIBO (is it aibo now?) since the ERS-7 in 2005 which is incredibly more advanced (as you'd expect) and even more canine-like; it's like a little plastic puppy. 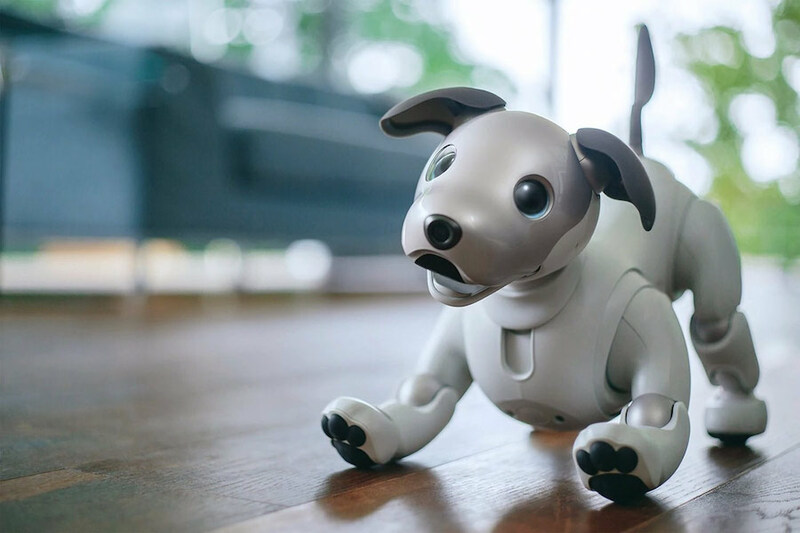 Currently, the aibo ERS-1000 is only available to the Japanese market but once there's an English version I'm sure we'll pick one up to have around the studio and to keep "Boomer" company.